As the United States heads toward default and China is planning to eliminate the USD as the world’s reserve currency, pResident Obama decides a photo op will solve the crisis. If the USD is replaced, people will be begging for these sandwiches. 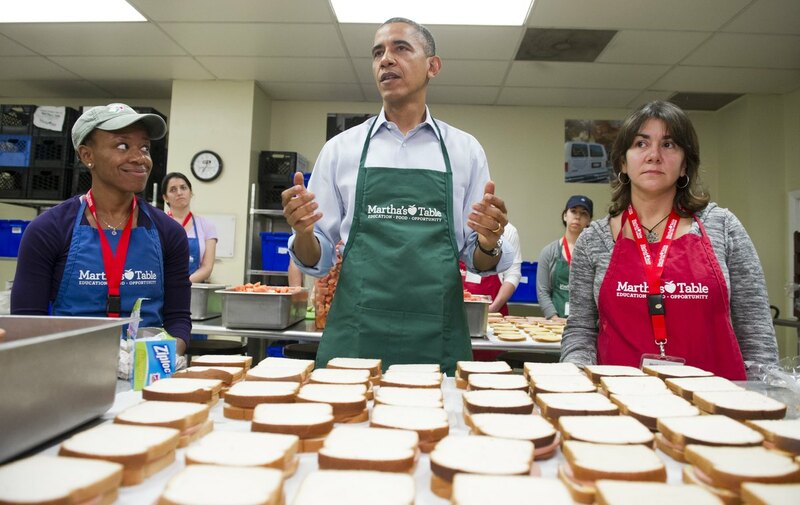 The US is two days away from no longer being able to issue new debt, but at least Obama is busy… Making sandwiches. This entry was posted in Domestic Enemies, Editorial and tagged default, Fool, Marthas Table, Obama. Bookmark the permalink.